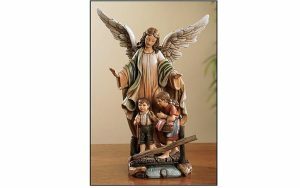 Description: Figures of Faith™ are artistic renderings of key moments and people from Biblical times enhanced with scripture and prayer. 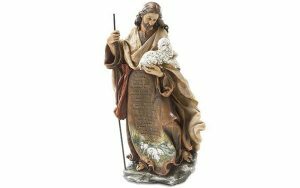 Description: The premiere collection of inspirational figures available today. 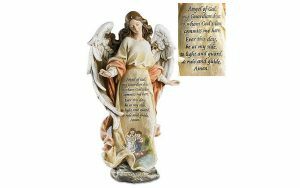 Figures of Faith™ are artistic renderings of key moments and people from Biblical times enhanced with scripture and prayer. Each sculpture is carefully detailed reflecting superior quality demonstrated by only the finest artisans. Figures of Faith provide for a meaningful gift and testament of faith. 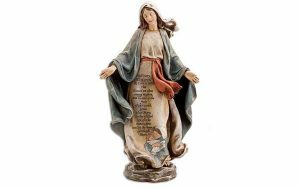 Full Inscription: Hail Mary, full of grace, The Lord is with thee. Blessed art thou among women and blessed is the fruit of thy womb, Jesus. Holy Mary, Mother of God, pray for us sinners, now and at the hour of our death. Amen. Description: All seek some form of comfort and peace in a time of bereavement. 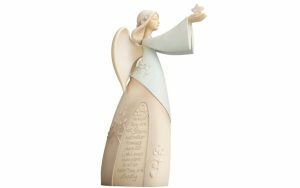 Part of Foundations’ Simply Inspired Angels collection, the Bereavement Angel is an artfully designed figurine displaying peaceful elegance in linen-textured resin. 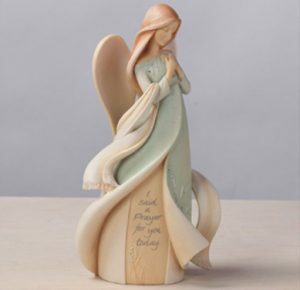 Intricately sculpted Bereavement angel raises a star in outstretched palms. Crafted with high quality stone resin and stunning crystal accents, and “comfort” ribbon. Features an engraved message “Perhaps they are not stars, but rather openings where our loved ones shine down to let us know they are happy”. 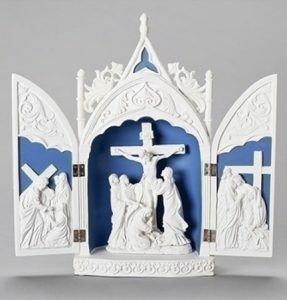 Description: Christ submits to the Father in this stunning artwork classic by Italian Della Robbia. In blue and white ceramic.